Find a Home Away From Home in Trinity. Many guests who have stayed at the Artisan Inn have fallen so in love with Trinity that they have purchased a property in the town. Some of those guests have asked the Artisan Inn to manage their properties as vacation home rentals. All our vacation homes are 4 or 4.5 star Canada Select rated. Guests receive the benefit of privacy and catering facilities, while also being treated to the attentive customer service of the Artisan Inn staff, including: in person check-in to the vacation home, destination orientation and trip planning and immediate assistance with any queries or issues you may have during your stay. 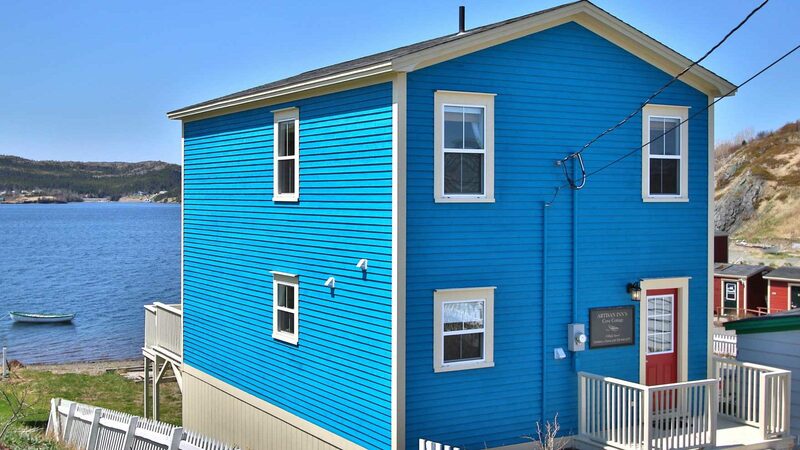 Blueberry Cottage is a charming vacation home built in 2017 and designed by Newfoundland architect and artist Frank Lapointe. 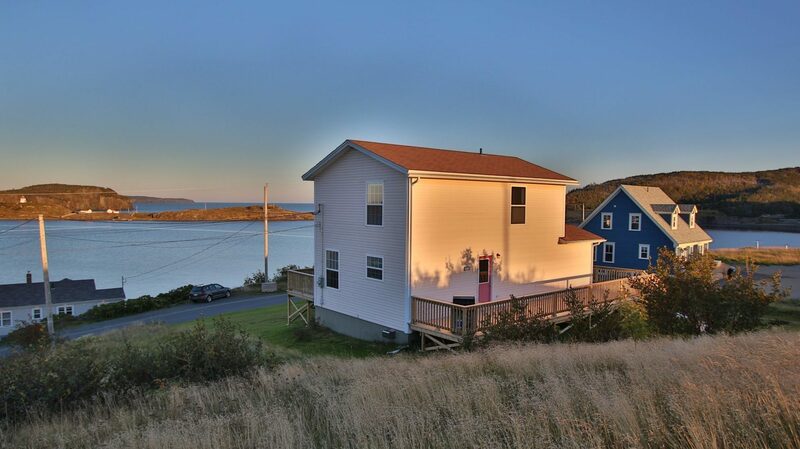 The house sits on a promontory facing the ocean, with views of historic and quaint Trinity Village. Go whale watching, hike world-class trails, including Skerwink Trail, picnic along our coastal vistas, or perhaps spot an iceberg or whales as you drive along coastal roads. Restaurants, live theatre, craft shops and natural beauty is everywhere! With walking access to all attractions of Trinity, this fully appointed and sunny cottage is the perfect place to relax, unwind, breathe the fresh ocean air and be as busy or relaxed as you want to be. Nathaniel House is a mid 19th century home (c. 1862) that has undergone extensive renovations, yet still retains its original Newfoundland character. Originally owned by Nathaniel Morris or "Gentleman Nat" as he was referred to, this two-and-a-half-story dwelling, constructed from local fir, now welcomes visitors from around the world. 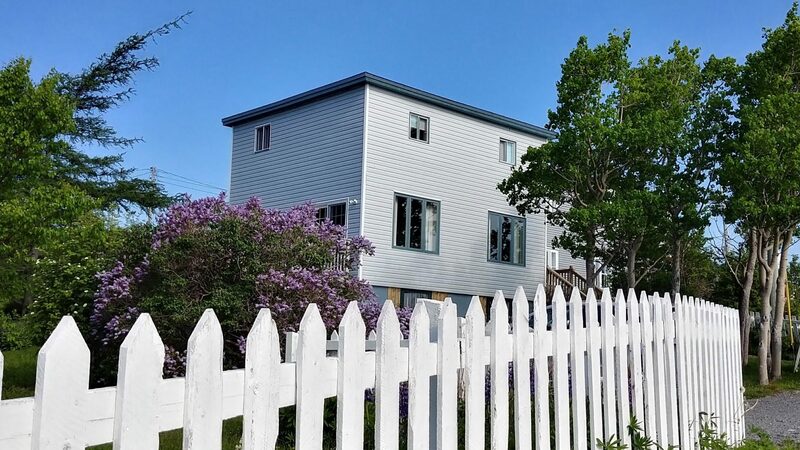 Located in the heart of Historic Trinity, Nathaniel House offers up a peaceful retreat while exploring Newfoundland's Bonavista Peninsula. 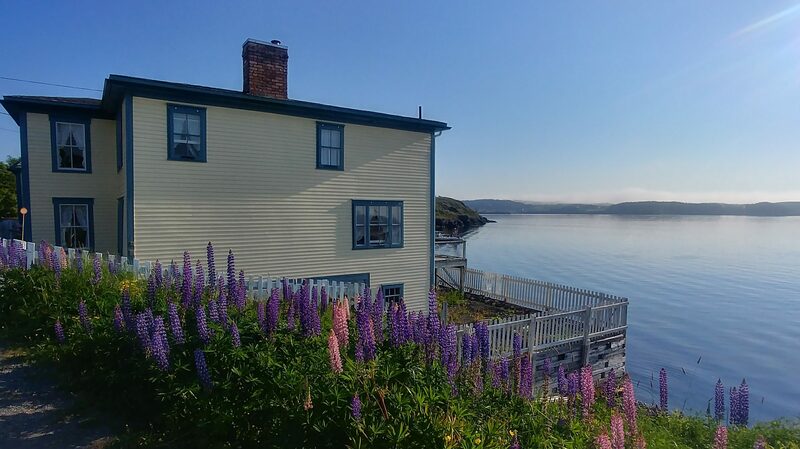 Situated on the water's edge of Trinity Harbour, Admiral's Lookout - a lovingly restored, registered heritage building - offers an unforgettable haven of rest and relaxation while visiting historic Trinity, Newfoundland. The four-bedroom vacation home is decorated with the award-winning furniture of local woodworker Mike Patterson and is ideal for taking in the eastern morning sunrise or watching the golden glow from the setting sun against the cliffs of Skerwink and historic Fort Point Lighthouse. Harbour House is located high on Hog's Nose at the southern tip of the town of Trinity. Every room offers spectacular views of the ocean, the bay or the village and it is within walking distance of fine dining, the Rising Tide Theatre, museums and shops. 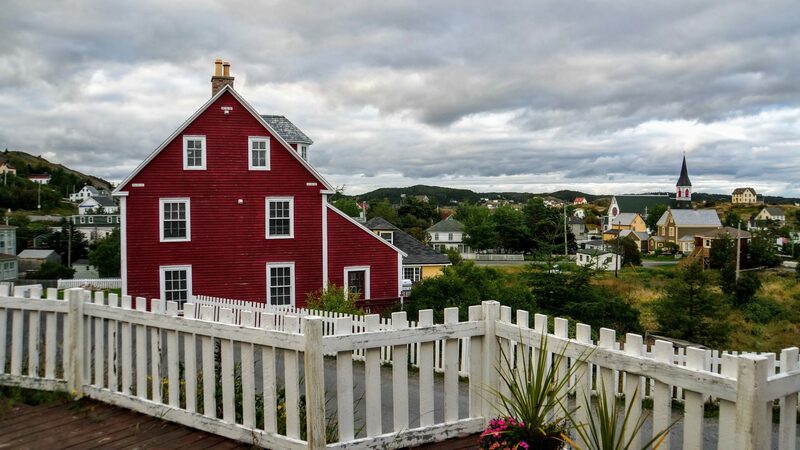 From the front deck you can sit and relax while you admire the spectacular ocean, the Fort Point Lighthouse and the cliffs of Skerwink. During the months on July and August, whales can sometimes be spotted from the bedroom windows and wrap around deck. Recently constructed, Harbour House is bright and spacious with harmonious decor and attention to detail offering every comfort of home. 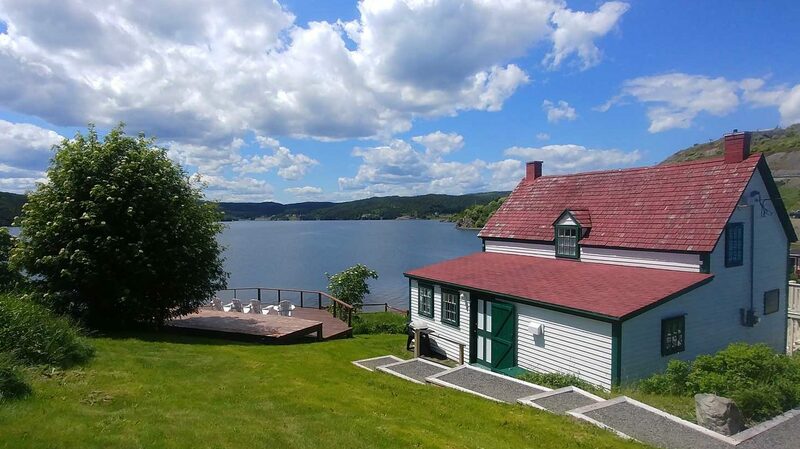 Gover House is situated on the shore or Fisher Cove in Trinity. With breathtaking views of the sea all around, this peaceful setting provides a tranquil contrast to everyday routine. This 1840s restored Salt Box is a registered heritage structure and allows guests to experience history while also enjoying modern amenities. Relax, breathe the fresh air, stroll the hills and meadows or explore the town....whatever is your choice. 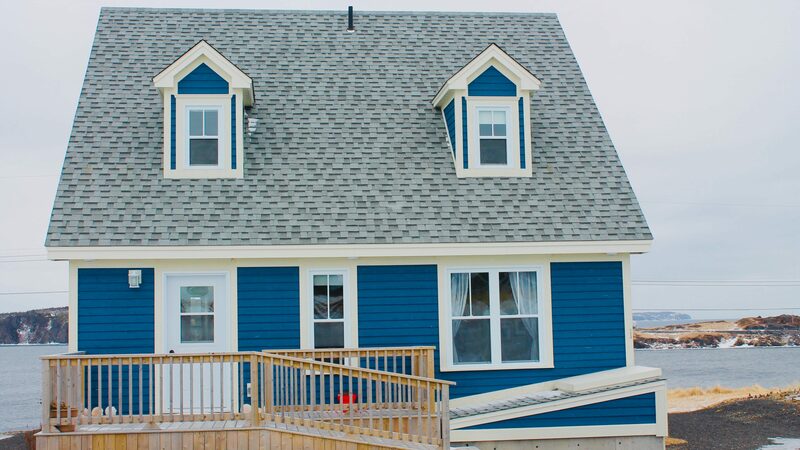 Lighthouse View is a perfect house for 1 to 2 couples or a small family. Located across the street from the rocky shore of Trinity Harbour, a favourite spot for landscape artists to paint. From the living room, kitchen and deck one can see the Fort Point Lighthouse and the Cliffs of Skerwink. The house was home to three generations of carpenters. Interior renovations have restored its original traditional quality.